March is always surprising. This year it is already like usual April, windy and changeable. 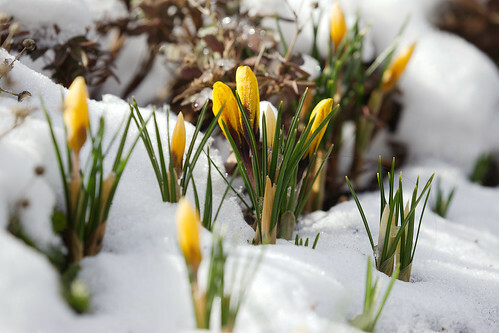 This picture is from last year when the crocuses were watching through the snow. Please visit me on www.holgersbilderwelt.de, the site is regularly updated by me.